Overclock.net > Cooling > Air Cooling > Random - COB LED cooler! Random - COB LED cooler! Modding a studio fresnel light with an LED! 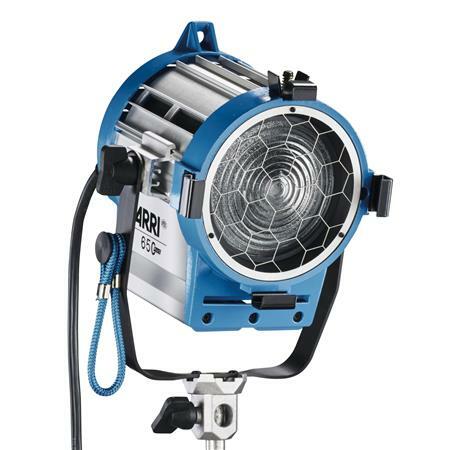 I thought it might be fun and worth the time to see what would happen if I DIY-ed the crap out of one of these Chinese clones of the Arri 1k fresnel studio lights. I am attaching some measurements of the space we have to work with. b. What is the maximum TDP it will handle QUIETLY? _ I am already planning on capping the max volts that can be fed to the LED to match the TDP we can handle. _ The LED chip needs a lens and mount that eats up about 31mm in depth. _ There is an additional 80mm of space behind the reflector, SOME of which should might be usable. _ Silent operation is critical, so I am planning on using a low profile fan, adding a thin shroud to make it a little tiny bit quieter and running it at a low rpm. "There is no point in having sharp images when you have fuzzy ideas." Last edited by USlatin; 03-22-2019 at 06:38 PM. The energy consumed by a 100-watt GLS incandescent bulb produces around 12% heat, 83% IR and only 5% visible light. In contrast, a typical LED might produce15% visible light and 85% heat. So, say I find we can fit something like a Noctua L9x65, which can handle an i7 4790k in a "well ventilated case", we might be able to dissipate around 60W of heat. In that case I should be able to push around 70W through the LED... mhh. Last edited by USlatin; 03-18-2019 at 08:06 PM. Man, what about something like this with the top covered and a blower directing air through it! It says it can handle 165W. Last edited by USlatin; 03-17-2019 at 04:10 PM. A Thermolab LP53 would probably do very well for this. 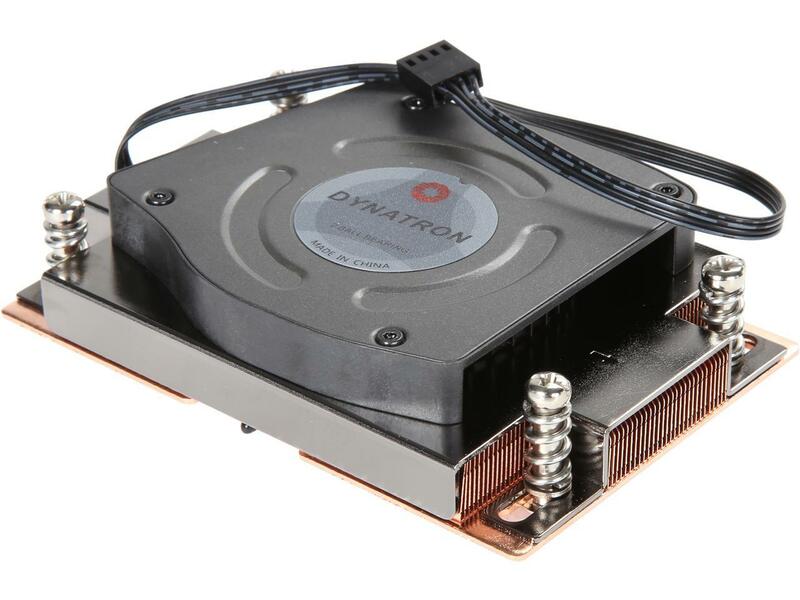 100W TDP, and it tested on par with much larger coolers when I reviewed it. If I recall correctly, it was equal to a Noctua NH-L12S with a single fan on a 4770K overclocked when I tested it. Last edited by ciarlatano; 03-18-2019 at 08:06 AM. Thanks. Looks nice and small. 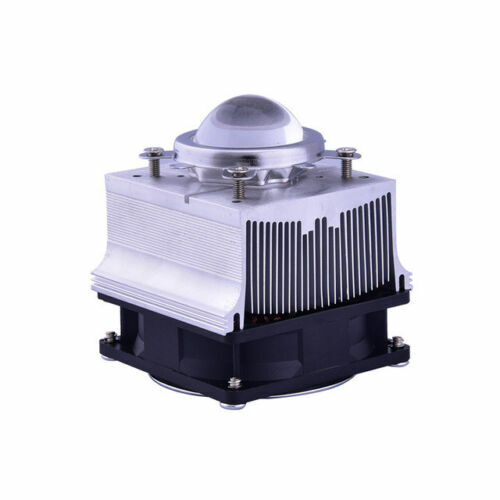 They rated it at 100W tdp, so the server vapor chambers would handle higher tdp. The higher TDP the brighter I'll be able to make it. The biggest LED i am looking at is a 300W so it would generate around 255W of heat. So the higher quiet TDP the better. I saw some of the server ones I found are rated at 200W plus! Are there any other brands like that I should look at? If you want quiet you'll need to go to 120 or 140mm. dynatron definitely makes quality products. I've used a few for mods in the past. last one was modding their ultra low profile LGA2011 cooler to the backplate of my X79. it was to remove as much heat as humanly possible from the classically hot X79 chip, so we had waterblocks on the front per usual, & modded these to be back, instead of the traditional backplate. I ran it at full tilt. My case is sound proofed. No clue on the real math. Mehlstaub did the math. I think we measured another 2-3c from the chip, and 4-5c from backplate heat sensor/socket sensor. It brought down the whole package 2-5c depending on the section. They're high quality server grade products. You can't go wrong, & they make a huge range of shapes/sizes/U thicknesses. So if I push 200W to the light there would be roughly 170W of heat to dissipate. Does anyone know if TDP ratings for coolers are calculated based on the total wattage fed to the CPU? Or do they account for some of that energy being used and not transformed into heat? Because even with a 205W TDP and knowing there will be 170W of heat, that may be too close knowing that I will want to use this outside in a hot summer day... I gotta get a better estimation before I set the max output. Overclock.net - An Overclocking Community > Cooling > Air Cooling > Random - COB LED cooler!